It’s a story 12 years in the making. Ryan Roth, a singer-songwriter from Northwest Ohio, is making a film with friend Michael Cullen II based on the lives of both himself and his late father Britt, who died in 2000. And if you ask Ryan Roth, it’s a deeply personal story born out of the cornfields of Wauseon. The 37-year-old singer/songwriter is currently in the midst of the production “Down Along the Road: The Life and Times of Fulton Williams,” a documentary-style narrative film chronicling the rise and fall of a local musician who mysteriously disappears while on the brink of fame. The story of Fulton Williams is based off the lives of both Roth and his late father Britt, who died in 2000. A writer and musician in his own right, Britt used Fulton Williams as his pen name as a tribute to his home near the Fulton and Williams county line. Before he died, Britt asked his son to carry on the name in whatever way he could. “Fulton Williams” is a passion project for both Roth and Michael Cullen II, an aspiring local filmmaker and close friend of Roth who helped him come up with the idea back in 2002. However, years went by and the project remained nothing more than an idea between friends. Two months ago, the duo reconnected and finally decided they were at a place in their lives where it made sense to get the project moving. “I think it was just about being at the right point in our lives,” Roth said. For the project, Roth and Cullen enlisted the time and talent of nearly 40 area actors, as well as local musicians who will weave their own true-life stories into their “experiences” with Fulton Williams. “Fulton Williams” has a budget of $2,500, which is being sought through Indiegogo.com, a crowdsourcing website. As of Dec. 18, the project has raised $1,974 with 30 funders. The fundraiser ends Dec. 29. To donate to the cause, visit the Indiegogo page at https://www.indiegogo.com/projects/fulton-williams-film-project-documentary-style. It’s a personal story Ryan Roth has wanted to tell in-depth and on a grand scale for more than a decade. Now, with all the pieces finally in place, he’s ready. The 37-year-old Archbold musician, songwriter, and filmmaker is currently hip-deep in the production of “Down Along the Road: The Life and Times of Fulton Williams.” The full-length movie chronicles the journeys of an itinerant musician seemingly always on the brink of fame who then vanishes mysteriously and is presumed dead. The story is told in flashback by his three grown children, each of whom view their father through their individual emotional filters. The project is a faux documentary about the Williams character, whose trials and tribulations are based on the combined experiences and feelings of Roth and his father, Britt, a writer and musician who died in 2000 at the age of 46. Produced and directed by Michael Cullen II, an aspiring filmmaker and close friend of Roth’s, “Fulton Williams” is a long-anticipated collaboration they believe will speak to peoples’ hearts. “It’s basically a story about the human condition and the demons we all battle. We’ve been talking for years about doing it…but we were never in our careers where we could take the time to do it properly,” Roth said. The film is being made for $2,500, most or all of which will be raised through indiegogo.com, a crowdfunding website used to raise money for independent projects. It is currently being shot in various northwestern Ohio locations, including Fulton County. The cast and crew of actors and musicians are donating their time and efforts. “Fulton Williams” grew out of a similarly-named short film Cullen was assigned while a film student at the University of Toledo in 2002. The concept was suggested by Roth, who attended Kendall College of Art and Design in Grand Rapids, Mich., while he and Cullen worked together at a Blockbuster video store. The eponymous title was borrowed from Roth’s father’s pen name, a tribute to Fulton and Williams counties. He and Cullen shot footage about a decade ago, but their diverging paths interfered. Roth pursued music, and personal issues led Cullen to take a break from filmmaking. Years passed, but Roth and Cullen remained friends, and both maintained a passion for finishing the movie. Two months ago they agreed it was time. “There were times along the way when I thought that this just isn’t going to happen. Then Mike called me and asked if I was ready to do this,” Roth said. He said footage now being shot will be meshed with that of the original short film, offering a unique perspective of the title character in his younger and later years. About one-fourth of the film has been shot. Filming will continue through this winter and next spring, then the movie will be edited over next summer. Roth and Cullen are aiming for a Sept. 19, 2015, release at a premiere party and concert in Toledo. Roth said the premiere date was chosen to honor his father, who died on that date. Roth described the movie as a growing project, one that has proven at times to be overwhelming and stressful. He said it’s made all the more difficult by trying to balance its demands with that of his home life and a full-time position at Ice Creations in Napoleon. “It’s hard to find time for what you love when it’s not paying (off) right now. There are a lot of sleepless nights trying to get it right,” he said. “But it’s a project we believe in and we live, and we’re 100 percent behind it, so we’ll make it work. And Cullen has the perfect eye for putting it on film, Roth said. Cullen, 37, is the director of numerous short films, and helped produce an area remake of the George Romero classic, “Night of the Living Dead.” “Fulton Williams” will be his first job directing a full-length film. He said now is the perfect time to rev up the project. Cullen, who also has a full-time job, said his passion for “Fulton Williams” derives from the story he and Roth are telling. He described Roth as multi-talented and a very charismatic individual. “(His talent) definitely needs to be shown to more people,” he said. After the film’s premiere next year, Roth and Cullen hope to show it in an area theater, such as the Maumee Indoor Theater or Skye Cinema in Wauseon. They will also pursue a DVD release. “There’s something for everyone in this film. It’s full of emotion,” Roth said. Here are a couple of updates on Cullen Park. First we have been doing some video work for Andrew Z in the Morning, heard locally on Star 105 FM. You can see the videos in our video section. 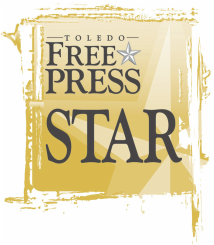 Second we have had a cool article written about Already Indie in the Toledo Free Press Star. We are also continuing work on more music videos and developing our feature length, Down Along The Road: The Life and Times of Fulton Williams. The creative minds behind the new Toledo-based web series “Already Indie” have a slogan for their creation: “You ARE a filmmaker.” The statement functions not just as encouragement, but an affirmation of their core beliefs as artists. The whole of the enterprise is infused with these beliefs. Each episode of the series, which can be found on YouTube or through its official website, alreadyindie.com, offers insight on and instruction into the process of making independent films. Both Koleszar and Cullen have a long history in filmmaking, with over two decades of experience in indie work between them. The idea for the series emerged as Koleszar was considering the path he’d taken to where he was in his work, and the outlets those hoping to do the same had to learn from. The show is still early on in its run, but has begun to evolve a personality all its own compared to other instructional shows on the internet. Both creators noted that keeping an independent tone to their work was crucial. “We wanted an indie feel, so with the theme music, we requested the help of indie musician Matthew Haase. Keeping with the idea of guerrilla filmmaking, everything we do on the show, from the way it is filmed, to what we cover on the show — low budget FX makeup, DIY builds, digital FX like the explosion in the ‘AI’ intro — revolves around it,” Koleszar said. That “guerrilla filmmaking” style can become one of the greatest tools a young filmmaker has, the pair argue. “I feel that knowing how to make a film with what you have available can come in handy in any small or even big budgeted production. There are always times when something goes wrong on a set and working in a limited budget makes you have to be more creative. It also helps you to solve problems more quickly and creatively when they happen,” Cullen said. Though the series recently saw the departure of its original host, actress Sarah Dauer, both producers are clearly enthusiastic about the additions of local performers Meghan O. Koesters and Herschel Powers to their cast, and are hopeful for what new viewers will get out of the series. “I’d like to see the show continue to grow both online and locally as we help educate people interested in how to make films. I’d like to see the show grow as a brand and become a community of people who can learn and grow together and help grow the independent film community,” Cullen said. “We have plans to grow within the Toledo community. Doing things such as working with local businesses to have a film competition to inspire local filmmakers, showcase Toledo acting talent, and inspire young people to delve into the filmmaking world. Online, we want to become the largest filmmaking community to showcase work, get feedback, and network with industry professionals,” Koleszar stated. Below is a video to a short film we will soon be developing into a feature length. Take a look if you have the time. We will keep you posted as the project progresses. We will soon begin pre-production on a feature length film. We will be looking for actors with experience in improv as well as musicians who may have speaking roles in the film. We will keep everyone posted as things develop.